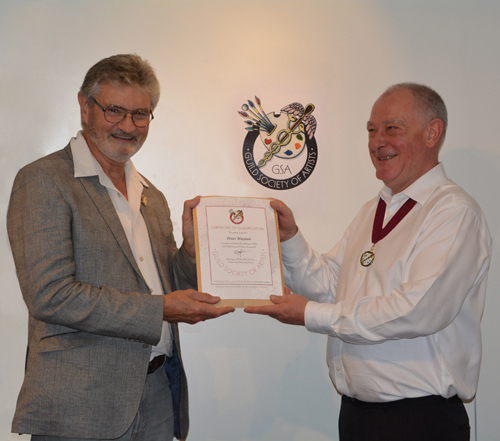 On Tuesday 26th September 2017 The Guild Society of Artists was launched at the Fine Art Trade Guild’s offices in London. At the launch I was made President of the GSA and awarded the Fellow of the Guild Society of Artists (FGSA) award for my artwork and the development of the Society by Ian Kenny, the Master of the Fine Art Trade Guild. I was then asked to present the other awards to various artists that had achieved the various levels for qualification. It was a brilliant night and enjoyed by all.